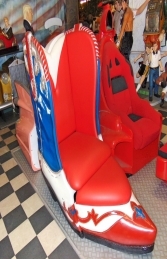 This fabulous seat is ideal for an adult and is a great combination with our cowboy models. 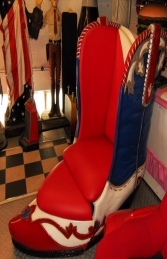 This cowboy boot chair is practical as well as being a great talking point. The surround of the chair looks like an authentic cowboy boot.